Weight bars are sold separately. 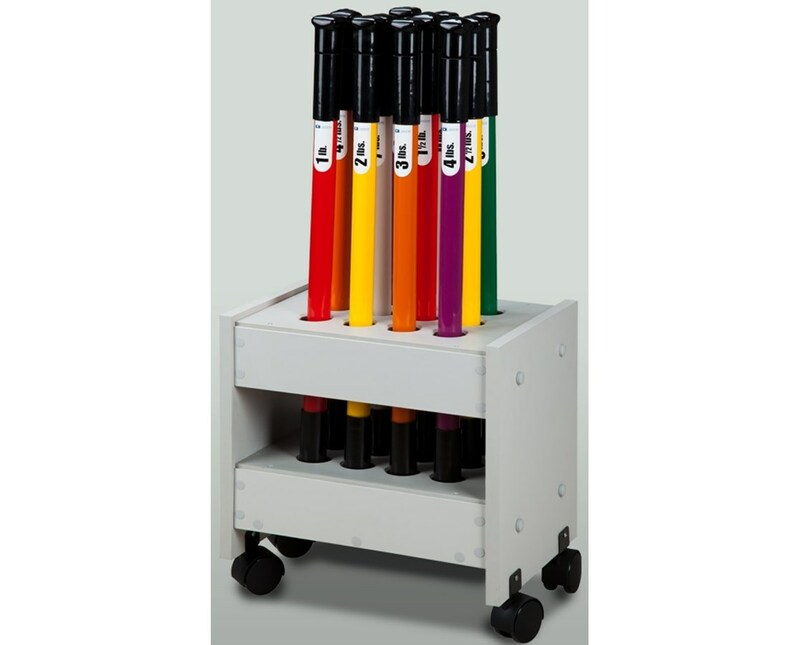 The Clinton Industries Mobile Weight Bar Rack is a movable storage device designed to hold up to 12 weight bars making it an optimal choice for exercise, physical therapy, and rehabilitation facilities. 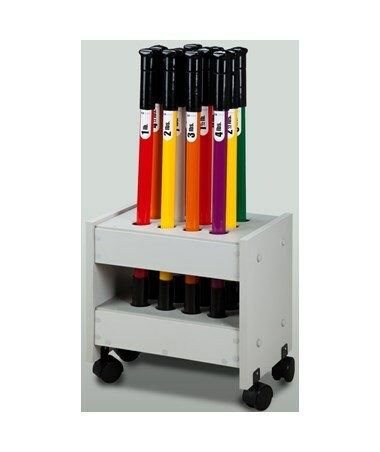 Made with an all laminate construction, the Mobile Weight Bar Rack is easy-to-clean and, because of its 3" swivel casters, can be moved around the facility hassle-free. Its width, depth and height measures at 17" W, 12" D and 17.5" H respectively.